Whether or not the teams score, the fans certainly will. Around two million of them have flocked to Moscow to see soccer’s brightest stars do battle during the 2018 World Cup, causing a massive surge of traffic for Tinder in the Russian capital. The phenomenon is a familiar one. During the 2014 World Cup in Brazil, Tinder reported a 50% spike in usage in the country over the course of the tournament. During the 2014 Winter Olympics in Sochi, Tinder founder Sean Rad told the Wall Street Journal the app experienced a 400% day-on-day increase in new users. And during the 2018 Winter Olympics in Pyeongchang, Tinder noted a 1,850% hike in users taking advantage of the Passport feature to change their location to South Korea. Sporting fever now has Moscow firmly in its grip. According to MTS, one of the four biggest mobile phone operations in Russia, Tinder usage increased by 11% near stadiums and fan zones. 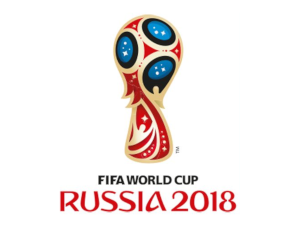 Tele2 saw the app’s popularity more than triple compared to the pre-World Cup average, and MegaFon said Tinder accounted for 1% of its total traffic during Russia’s opening-day match with Saudi Arabia. Tinder itself has reported on the activity surge from soccer fans around the world. New research from the app reveals that matches are up 66% during the games and right swipes have increased by 42%. Tinder’s Passport feature is proving to be particularly popular, with a 24% boost in users “relocating” to Russia to get in on the action. "Tinder is used in more than 190 countries and is available in more than 40 languages, and Passport allows you to make connections with people from anywhere around the world," Rosette Pambakian, Tinder's Head of Brand, told Bustle. "With such a massive, global sporting event like the World Cup, Tinder users outside of Russia can still swipe and match with people who are on the ground experiencing the excitement of the event live." "We thought it was interesting that the USA was ranked #1, since the U.S. isn’t participating, but it just proves that special events like the World Cup really do bring people together from all over the world," Pambakian said. Sixty-four matches will be played before the quadrennial sporting event concludes on July 15 and a winner is crowned, but it's clear some of the most exciting action will happen off the field. For more informaiton on this dating service, please read our Tinder app review.